For the third weekend in a row good will has reigned down upon the big, new release with the previous week's number one movie holding on strong. 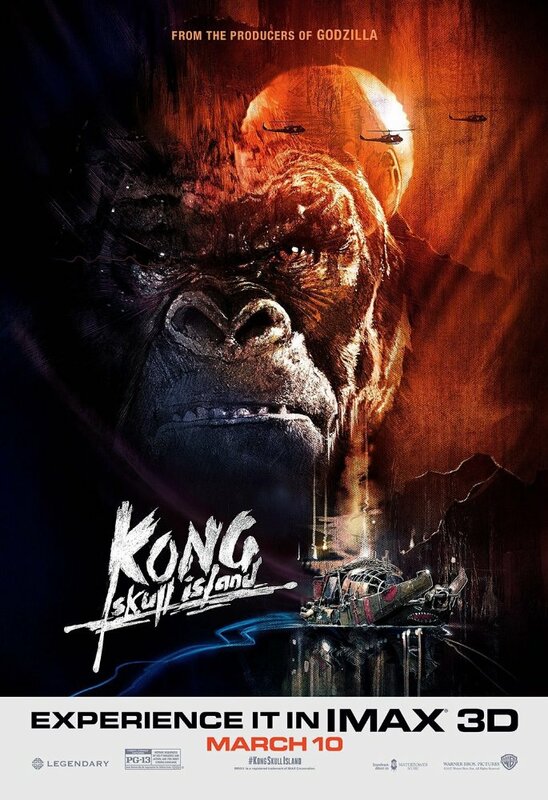 In this March that may as well be June the blockbusters continued to roll out as Kong: Skull Island hit theaters and nabbed an estimated $61 million which was good enough for a $15,865 per theater average from 3,846 locations. This is on top of a really solid international numbers as the latest monster movie in Warner Bros. and Legendary's planned monsterverse garnered an estimated $81.6 million in 65 territories for a $142.6 million worldwide total. This is good news as the obvious comparison here is Kong's predecessor in Gareth Edward's 2014 Godzilla which earned $93 million opening weekend back in May of that year going on to score a $529 million worldwide total on a $160 million budget. Kong was a little more expensive at $180 million, but while Godzilla opened bigger domestically it didn't have a great multiplier (2.15x) whereas Kong has already been outperforming the King of the Monsters in international markets with several opening dates in major markets still to come including China and Japan. As for the rest of the top five this weekend LOGAN continued to do strong numbers scoring a second weekend total of $37.85 million topping $100 million domestically in just five days and has now brought in over $150 million in just ten days. LOGAN will soon become the biggest domestic earner of the year as it will pass The LEGO Batman Movie in a matter of days (though it too will be passed by Beauty & the Beast this coming weekend) and is already the biggest worldwide release of the year with a cume of $438.3 million also giving it that status of the highest grossing worldwide release among the three standalone Wolverine releases. And for the third weekend in a row Jordan Peele's Get Out has more than surpassed expectations dropping only 25.4% for an estimated $21 million giving the film a current domestic total of $111 million on a mere $4.5 million budget. The film opens in the UK this week and as there is no competition opening in the near future there is no telling when this train will start to slow. We'll be seeing Beauty & the Beast this weekend so be sure to check back for our review of the hotly anticipated live-action re-telling, but until then follow us on Instagram, Twitter, and subscribe to our YouTube channel as we have a new review (or reviews) up each week! Read my full Kong: Skull Island review here.